Tuesday, May 29, 2018 4:00-8:00 p.m.
Wednesday, May 30, 2018 9:00-10:30 a.m.
Roger H. Lakenburges, age 86, of Germantown, died Thursday, May 24, 2018 at Aviston Countryside Manor. 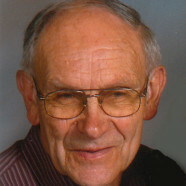 Mr. Lakenburges was born December 1, 1931 in Germantown, a son of the late John and Emma, nee Frerker, Lakenburges. In addition to his parents, he was preceded in death by a son-in-law, Ron Fischer; special grandmother, Mary, nee Hagen, Lakenburges; father-in-law and mother-in-law, Bernard and Marie, nee Fehrmann, Boeckmann; brothers-in-law and sister-in-law, Fr. Floyd Boeckmann, OMI, Charles Boeckmann, and Sr. Ruth Marie Boeckmann, ASC; special uncle, Louis Lakenburges; and a special cousin, Virginia Farrell. Surviving are his wife, Florence, nee Boeckmann, Lakenburges of Germantown, whom he married June 1, 1957 at St. Boniface Catholic Church; children, Gwen Fischer of Breese, Lisa (Bill) Rathmann of Germantown, Denis (Dawn) Lakenburges of Germantown, Dawn (Robert) Groetecke of Columbia, and Lois (Erick) Guzman of Chesterfield, MO; grandchildren, Nick (Jamie) Fischer, Tony (Whitney) Rathmann, Josh (friend Meg) Rathmann, Chris (friend Jade) Rathmann, Nathan (Danielle) Lakenburges, Kyle (Lacey) Lakenburges, Ali Lakenburges, Emma Groetecke, Alex Groetecke, Curtis Guzman, and Trey Guzman; great-grandchildren, Jordan Fischer, Rylyn Lakenburges, and was anticipating the birth of his third great-grandchild; brother John (Anita) Lakenburges of Belleville; sisters-in-law and brothers-in-law, Monica Boeckmann of Germantown, Vernon (Julaine) Boeckmann of O’Fallon, and David (Diane) Boeckmann of St. Louis; special aunt, Edna Lakenburges of Breese; special cousins, Bonnie (Jerry) Holzinger of Breese and Mike Farrell of Hudson, FL; and nieces, nephews, and cousins. Roger was a veteran of the United States Army serving during the Korean War, was the former owner/operator of Lakenburges Motor Co. in Germantown and drove a school bus for Germantown School for 17 years. He was a member of St. Boniface Catholic Church in Germantown and the Germantown American Legion Post 325. Roger enjoyed working and spending time with his family. Funeral Mass of Christian Burial will be Wednesday, May 30, 2018 at 11:00 a.m. at St. Boniface Catholic Church in Germantown with Fr. James Buerster presiding. Interment will follow in St. Boniface Cemetery, Germantown. Visitation will be Tuesday, May 29, 2018 from 4:00-8:00 p.m. and again on Wednesday, May 30, 2018 from 9:00-10:30 a.m. at Moss Funeral Home in Germantown. Memorials may be made to St. Boniface Church and will be received at the funeral home. 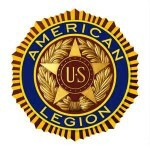 The American Legion will hold services at 7:00 p.m. Tuesday evening at the funeral home.